Real estate is not normally a job most people associate with flexibility — you’ve got a full schedule trying to show houses, close deals, and keep up with all the new properties that are appearing on the market. 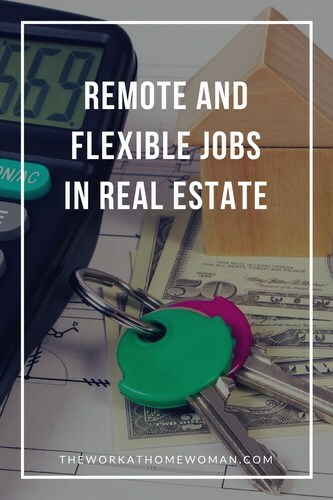 If you’re interested in a career in real estate but worried about the hours, you’re in luck — there are actually quite a few flexible jobs in the world of real estate that you can do remotely or with very flexible hours. What real estate careers can you get into without worrying about strict schedules? Age requirements — most states require you to be at least 18, while others require you to be at least 21 before you can study to work in real estate. Education requirements — most states require a high school diploma or equivalent (GED) before you can begin to study in this field. Background checks — some states do require federal background checks before you can work in the field. Licensing classes — depending on your state of residence, expect to take anywhere from 60-200 credit hours of pre-licensing classes. State exam — you will be required to pass a state exam before you are considered a licensed real estate agent. Once you’ve obtained your real estate license, what are the most flexible careers in the field? A real estate agent is the career that is basically synonymous with the real estate industry — if you’re buying a home or selling yours, you’ll be speaking to a real estate agent. You can choose to work as a listing agent, who helps their clients sell their property or a buyer’s agent who, as the name suggests, helps clients buy a new home or piece of property. Once you’ve obtained your real estate license and found a brokerage firm to work for, you have the option to set your own hours and the hours that you’re available to work with clients. Are you only available to work on evenings and weekends to cater to working clients who want to buy their first home? That’s definitely an option for a real estate agent. You may find yourself bombarded by clients asking questions at all hours of the day and night, but if you make sure to set strict office hours, you have the ability to totally customize your schedule however you see fit. And any other information that might be pertinent to the upcoming sale. If you have previous experience or education in the field of title law, this could be a great career for you. Make sure you check with your state to see what the requirements are — some states don’t have any specific requirements to become a title searcher, while others consider it a practice of law and require you to be a licensed attorney to do the job. Title searchers, in general, can do their jobs from anywhere, on their own schedule. Obscure or old titles might require some travel if the district where they are originally stored hasn’t digitized their files yet, but the majority of this job can be done from home or remotely. Properties that are foreclosed, need to be sold quickly, or simply aren’t selling will often be sent to auction where individuals can bid on the properties. It’s a great option for both sellers and buyers, and a great market for realtors to make some good money in the meantime. Of course, you can’t have an auction without an auctioneer. To become a real estate auctioneer, you need two things— a real estate license in your state and an AARE (Accredited Auctioneer of Real Estate). The latter is the result of a three-day class put on by the National Auctioneers Association. Once you’ve passed the class, you need to submit proof of 10 auction closings and/or sales to obtain the AARE designation. Your state may or may not require the auctioneer’s accreditation so make sure you check the requirements in your particular state before you start signing up for classes. For most people, buying a home means taking out a mortgage through a local bank or loan servicer. 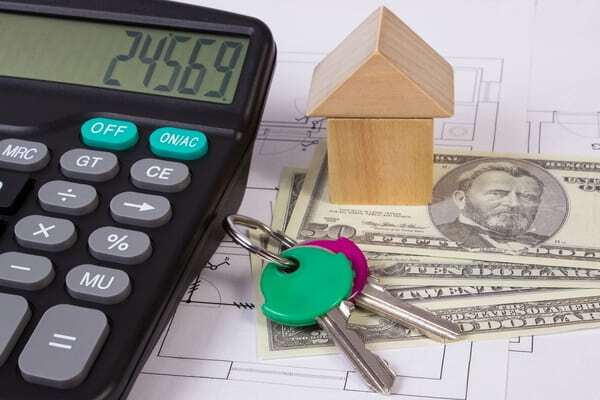 The general duties of a mortgage processor include everything from packaging the loan offer to processing all the paperwork from offer to closing on the home. Mortgage and loan processors aren’t required to obtain a real estate license. What you’ll need is a high school diploma or GED, though some states recommend an associate’s degree as well, in addition to loan processing training. You will need to become a certified loan processor through the National Association of Mortgage Processors. This requires classes and certification requirements that will vary from state to state. While processing loans will require you to meet with clients in order to process loan paperwork, but the schedule of those meetings is entirely up to you. Do you want to meet your clients in an office or a local coffee shop? Or do you enjoy traveling and would prefer to travel to your clients? It’s all up to you! If selling homes or spending the money to become a real estate agent or loan processor isn’t appealing or possible right now, consider becoming a leasing agent. Leasing agents work with property owners to find suitable tenants for their properties. This is especially important for property owners who own lots of homes or apartments — you just don’t have the time to drive to every single apartment or house. A Degree — Some companies require that you have a minimum of a bachelor’s degree, preferably in fields like business, finance, or real estate. Experience — You can find work as a leasing agent without a degree, but you will likely be required to have a few years of experience in sales, management, or (again) real estate. Certification — Some states require professional certification for leasing agents. You can either obtain these certifications on your own to pad your resume or find an employer willing to pay for you to get the certifications. Leasing agents have wonderfully flexible schedules — while you might be under pressure to rent a property quickly after it becomes vacant, it’s up to you when to schedule property showings, and everything else (background and credit checks for new tenants, etc.) can all be done remotely from the comfort of your own home. One of the biggest parts of buying a home is the homeowner's insurance that you will need to purchase to protect your investment. Insurance inspectors help to determine the risk of insuring a new property, by looking at things like fire risks and hazards or the structural integrity of the home itself. Insurance inspection requires a bit of preparation — specifically, a bachelor’s degree in math, finance, or engineering, as well as certification from the insurance industry. The certifications might vary from state to state, so be sure to check with a local insurance office to see what the requirements are in your state. Insurance inspection is a great job if you want to work in the world of real estate without being chained to a desk all day — you get to go out, explore your local area while you’re inspecting properties, and meet with individuals. Real estate jobs can be an excellent way to expand your career or to earn extra money if you work part time. While traditional careers in this industry can be fairly restrictive, many offer the flexibility of choosing your own hours or working from home. If you’re not sure where to start, stop by a local real estate office and start asking questions! If they don’t know how to help you, they can probably point you in the right direction to get you started on your path to working in the world of real estate. Where do you find flexible and remote mortgage and real estate jobs? Check out this list from FlexJobs – it's updated daily. Real estate is one area a lot of folks don’t consider when working from home because they have to get additional training. It can really be worth is though for the earnings potential and flexibility. Yeah, it’s not a traditional work-at-home route, but it does offer a lot of flexibility, and it pays well. Thanks for stopping by Faith!